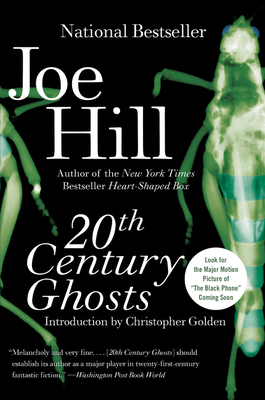 20th Century Ghosts (Paperback) | Water Street Bookstore, Inc.
Francis was human once, but now he's an eight-foot-tall locust, and everyone in Calliphora will tremble when they hear him sing. . . .
John is locked in a basement stained with the blood of half a dozen murdered children, and an antique telephone, long since disconnected, rings at night with calls from the dead. . . .
Nolan knows but can never tell what really happened in the summer of '77, when his idiot savant younger brother built a vast cardboard fort with secret doors leading into other worlds. . . . The past isn't dead. It isn't even past. . . .